A typical use of the IPM Toolkit app would be to find a hot agricultural topic while looking at the latest UW specialist’s Twitter posts in the app. For example, you might see an alert about soybean aphid infestation on the rise. Then you could view a video about soybean aphid scouting, or look up soybean aphid management in a publication. 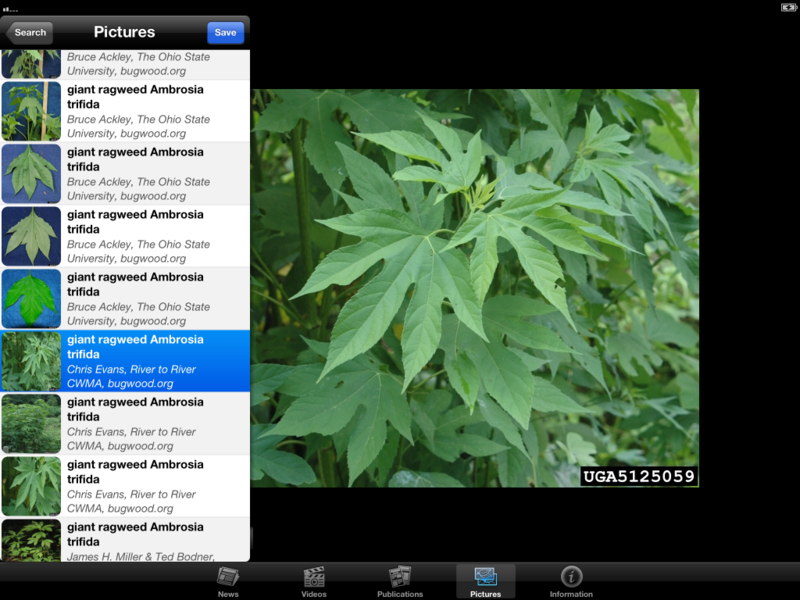 You could also search for pictures related to soybean aphids or scouting in the huge online image database the app is connected to. You could create an email that contains pictures or links and share what you have learned with other growers. You can do it all inside this one app using your smartphone and the internet when ever or where ever you might be. The IPM Toolkit app is available to users for free for Android and Apple smartphones and tablets. This app is produced by the University of Wisconsin’s Integrated Pest Management (IPM) program. Mobile device and internet use is changing how global and local agriculture operate and expand their businesses. Growers in Wisconsin, like the rest of the world, are increasing their use of smartphones and other handheld devices for communication and information management on their farms. A key to agriculture’s continued success is incorporating information from an unbiased science and research-based source such as the University of Wisconsin. This app allows a user to read timely IPM related news articles, view videos, download publications, and search for pictures to aid in using IPM practices on their agricultural operations. a publication library of IPM materials that have been developed by the UWEX IPM program. The list contains PDF documents and ePub books. All of the files can be saved in iBooks or other compatible apps for offline use.